Charge-as-You-Go Electric Cars: Sounds Great, But Do We Really Need Them? Drivers of electric cars are quick to tell you how much they love never having to stop at a gas station. But they still have to stop and plug in. What if you could completely cut loose electric cars to roam this great land, recharging their batteries on the fly? That's been a dream of automotive engineers for years, and scientists at Stanford University say it just took a leap forward in one of their labs. 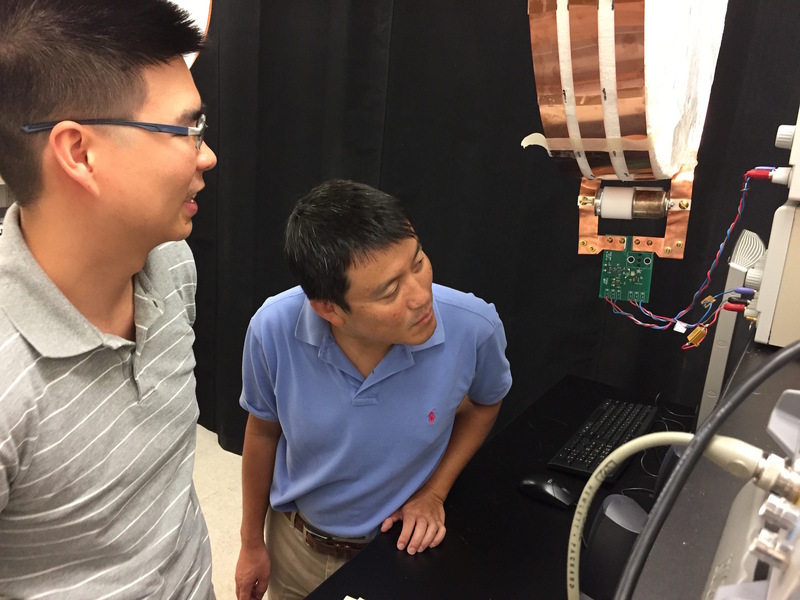 Electrical engineer Shanhui Fan and graduate student Sid Assawaworrarit say they've broken through a major technical barrier on the road to what engineers call "dynamic charging." "Generally speaking," says Fan, with his gift for understatement, "I think what we have done here is really to show that you could charge a moving object efficiently." Wireless charging of stationary objects is already becoming ho-hum, finding uses from cell phones to shuttle buses. Ford recently rolled out a wireless system that EV owners can install in their own garages. Charging moving objects is a lot trickier. Previous work in the United Kingdom and South Korea has used magnetic induction systems, in which a charged coil creates a magnetic field that jiggles electrons in a nearby companion coil, causing it to create its own electric current. It's what happens when you set your electric toothbrush onto the charging base. But the technology only works over very short distances and breaks down quickly as the two coils move apart. By adding some off-the-shelf components, Fan and Assawaworrarit have found a way to amplify the voltage and current and keep the two coils humming, even as one of them moves through the field. Their magnetic resonance approach has been called "ingenious," and while they've so far demonstrated it only at very low power—enough to keep two LEDs lit for a few feet—Fan suggests that a scaled-up version could be the answer to charge-as-you-go electric driving. Their work was published in June, in the journal Nature. Here's the catch: it's not just the cars that would need the necessary hardware. Arrays of charging pads would have to be embedded in roadways to create charging lanes. 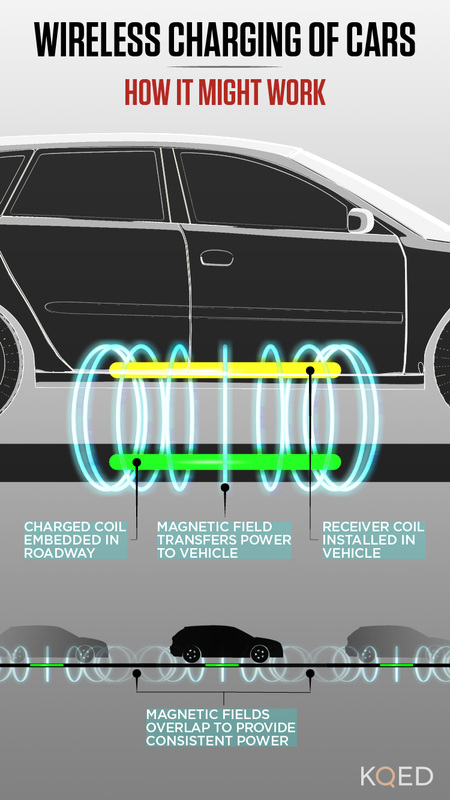 As dynamic charging cars passed over the pads, they would pick up the magnetic field and charge on the fly. The pads would have to be close enough together to create a continuous field for cars to pass through. 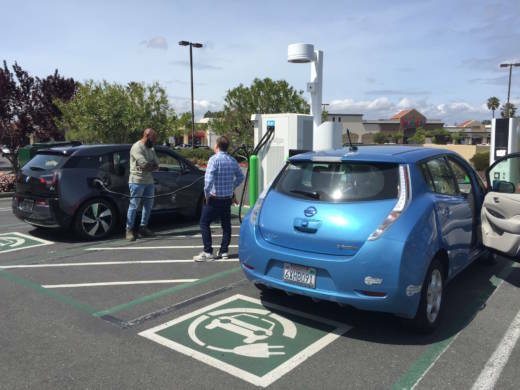 "The technology is not going to be as efficient as just plugging in your car," says Gil Tal, who directs research at the Institute of Transportation Studies at UC Davis. For one thing, cars are parked a lot more than they're moving—on average 23 hours a day. And much of that time is overnight, the ideal time to plug in while there's slack demand for electricity and thus, less pressure on the electric grid. Roadway pads would presumably be charged 24-7 off the grid or by nearby solar panels. "You will have losses," says Tal. Even with the best of technology, you’ll lose quite a bit of energy." The EV age got a significant boost lately by a string of announcements from major players. With great fanfare, Tesla delivered its first car designed for the mass market, the Model 3. Volvo stunned many observers with its plan to build only EVs or hybrids within a couple of model years, and France says it plans to ban internal combustion engines all together. Along with this momentum, automakers are racing to relieve the "range anxiety" (concern over how far EVs can go on a single charge) that has suppressed EV sales with advances in battery technology and rapid re-charging. "If I have a car that has 300 miles of range and I only have to pull over every 4-5 hours for 15 minutes, do I really need dynamic wireless charging?" asks Mark Duvall, who heads technology utilization at the Electric Power Research Institute in Palo Alto. Duvall says range anxiety is well on its way to being quelled without dynamic charging. "A little bit of infrastructure can facilitate essentially continuous travel by electric vehicles," he says. Dynamic charging would be hugely expensive to implement. Two years ago, the British government earmarked $800 million just for early testing of dynamic charging, before even taking it on the road. Laying down a single lane of freeway in California can run about $1 million per mile, with no frills like charging grids. "Highways are expensive enough as they are," says Duvall, "which is why many of them are not in the condition that we would like them to be in." But neither Duvall nor Tal are dismissing the potential of dynamic wireless charging in general. Both agree with Fan that the potential uses abound, including many that no one has yet thought of. Wearable and embedded medical devices could be recharged as patients go about their daily activities—or it could just turn that line at Starbucks into productive time for your phone. "I can see many reasons why you would want to improve technology around wireless power transfer, even if you never used it for vehicles," says Duvall.